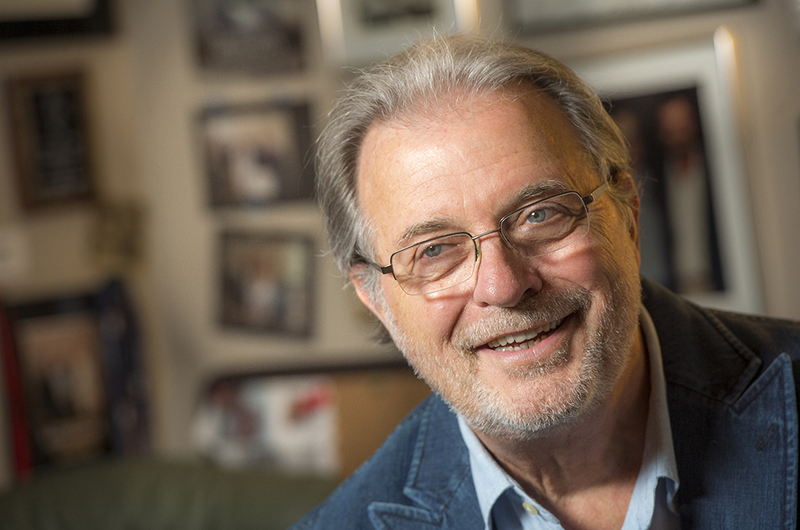 He was the Great Schmoozer, the Humble Bavarian and, in many respects, a father figure to hundreds of budding filmmakers who passed through the halls of Valencia College. He kept in touch with many of them over the years, accumulating a huge following of devotees. Clemente, 72, died Sunday, April 5, of pancreatic cancer. He was diagnosed with cancer on March 17. The diagnosis blindsided family members, who thought he seemed robust and healthy. At the college, faculty, staff and students are grappling with the loss of a man who’d become an institution at Valencia. “Ralph was a powerful person in the lives of his students and those with whom he worked. He will be deeply missed,” said Stacey Johnson, president of Valencia’s East Campus, where the film technology program is housed. As a child in West Germany, Clemente grew up surrounded by show business. His great grandfather was a theatrical architect and his grandfather was the head of AAFA Studios in Berlin. His mother, Laura Tolins, was granted the first license for theater in the American Zone after World War II. When he was 14, Clemente, his mother, sister and brother, moved to the United States, where his mother opened an acting school in Sarasota. Ralph, who couldn’t speak much English, learned by watching TV. 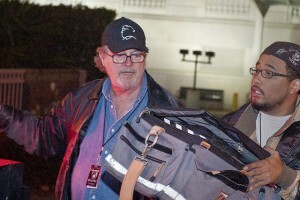 Ralph Clemente (left) taught students all aspects of becoming a filmmaker — from cameras, lighting and sound to location scouting. From the time Clemente came on board at Valencia in the late 1980s — where he was charged with starting a new film program to help the state’s burgeoning film industry — he had one goal. He wanted to help students, many of whom dream of becoming directors, learn job skills that would enable them to work their way up in the film business. “I want to make our students employable,” Ralph said. So students in Valencia’s film technology program learn about lighting, sound, cameras, producing and how to scout for locations — all the skills needed to make a movie. Classes began in 1988 at Disney MGM Studios, then moved to Universal Studios Florida, before the college kicked off its two-year Associate in Science degree program. What made Valencia’s program stand out was Clemente’s insistence that his students would get hands-on experience working on feature films. So Clemente plied the industry, searching for directors who wanted to make feature films but needed some help — in the form of Valencia students or film equipment. The students did not replace veteran technicians, but learned by working alongside them. As a result, students got the chance to work on films with budgets ranging from $10,000 to more than $3 million. During Clemente’s tenure at Valencia, students worked with dozens of Hollywood veterans, including Robert Wise, George Romero, Reza Badiyi, Jonathan Krane, Julie Harris, Ruby Dee, Sally Kellerman, Joe DiMaggio, Ed Begley Jr., Tyne Daly, Mickey Rooney and Talia Shire. Under his leadership, Valencia film students collaborated on 47 feature films, including “The First of May,” a circus film starring Mickey Rooney, Julie Harris and Joe DiMaggio, and “Silver Wings & Civil Rights: The Fight to Fly,” a documentary feature film about the Tuskegee Airmen that won many awards at international film festivals. 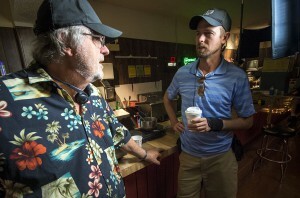 Ralph Clemente (left) and son Parker collaborated on “HeartBreak,” a film shot in Orlando in 2013. The Valencia film students’ most recent work ranges from the newly released Sony Pictures’ “To Write Love on Her Arms,” with a cast that included Kat Dennings, Rupert Friend and Chad Michael Murray, to the Southern comedy “Campin’ Buddies,” which was shot last summer in Shreveport, La. Clemente fans, however, may not have seen the last of him. In November 2014, Clemente and his wife, Emily, visited the set of “Game of Thrones” in Ireland, where director David Nutter — a former student of Clemente’s at the University of Miami — cast the Clementes as extras in an upcoming season finale. Clemente is survived by his wife, Emily, and two sons, Randolph and Parker, as well as a granddaughter, Valentina. Randolph Clemente practices law in Miami. Parker, a graduate of Valencia College and the University of Miami, is a film director and a member of the Director’s Guild of America. A service for close friends and family will be held on Saturday in Miami. A celebration of Clemente’s life is being planned for Orlando; details are pending. Contributions to scholarships may be made in Ralph Clemente’s honor through the Valencia Foundation.